Known as osteoporosis, this disease is caused by porous bones and it seemed like the unwashed masses didn’t know much about it. She advised her clients – a coalition of pharmaceutical makers, medical device companies and patient groups – that they needed to do some serious “awareness-raising.” After all, how were you going to sell a drug for a disease that people didn’t know or fear? That’s easy. If you are able to define a disease broadly enough, you can capture as much of the population as you want. With many early researchers funded by drug makers and a key meeting of World Health Organization in 1995, drug company executives were at the table defining who had this disease. As it turned out, the definition of the disease was so broad it meant 50 percent of post-menopausal women or about 44 million American women had it. If you consult independent experts around the world – those not selling mass bone screening programs or marketing osteoporosis drugs – they will tell you a pretty similar story: BMD testing is often inaccurate, can’t predict with any validity who will go on to break a bone and applies a label that leads to inappropriate drug therapy. Further, the test directs funds away from measures that could actually significantly reduce the rate of hip fractures, such as promoting weight bearing exercise, quitting smoking, limiting alcohol and the intake of sleeping pills and increasing access to Vitamin D and calcium. The research shows about 60 percent of women who have hip fractures have normal bone density. Knowing this, the question changes from “How do I prevent porous bones?” to “How do I prevent myself from falling and breaking a hip”? But since the focus is on your bone density, the solution looks a lot like a drug. That sounds pretty good, but if women with defined osteoporosis and at high risk of a hip fracture are followed for four years, only two percent of them will actually have a hip fracture. If they took the drug instead of the placebo, it would be one percent. This difference is expressed as a whopping 50 percent relative reduction – one is 50 percent of two – but the absolute difference is one percent, meaning 100 women would have to take this drug for four years to prevent one hip fracture. If the drugs are only marginally effective, how safe are they? Sadly, the safety of the bisphosphonates, despite the denials of the manufacturers, only grows worse with time. In the first full year on the market, Fosamax, which comes with strict recommendations about how to take it due to its corrosiveness to the throat, was the top drug on the list of Suspect Drugs in 1996 as part of the US’s Postmarket Adverse Drug Experience (ADE) reporting system, where over 6,000 adverse drug reports were made. This class of drug can cause throat or chest pain, difficulty swallowing and heartburn. About 10 percent of patients have some kind of irritation of the esophagus. The more serious stuff includes abnormal heart rhythm, wrenching bone, joint and muscle pain, bone loss in the jaw (osteonecrosis) as well as an increased risk of thighbone fractures. We know there are cheap and simple solutions to prevent falls – which cause over 95 percent of hip fractures – such as fixing our sidewalks and making sure we use them, for instance getting some weightbearing exercise through walking. At the end of the day, those promoting bone density testing or drugs for osteoporosis are the same people lobbying our government to pay even more for these drugs. Consumers don’t need more expensive and questionable health interventions marketed to them. As for the question “Should you or should you not take a bone density test?” it’s useful to ask yourself other questions such as “Am I scared?” “Will the bone density test reduce my fear?” “Will a drug make things better?” If you answer no to these questions, maybe it’s better to leave well enough alone. 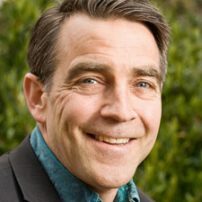 Alan Cassels is the author of numerous books, including The ABCs of Disease Mongering, The Cochrane Collaboration, Selling Sickness and Seeking Sickness. Below my neck that was numb. Then later I started having pains in my shoulders that ran down my arms. Sleeping was terrible because I like to sleep on my side but it would wake me up and I could barely put my arms back down. X-ray showed degeneration in the discs of my neck. Then I started having pain so bad in my hips that it woke me up at night. I had a bone density scan which showed osteoporosis in my left hip, and the right is on its way. I have pain in my lower back that runs down my legs. It is miserable. I am on a weekly pill (alendronate) calcium, and vitamin D which don’t help. After using osteoporosis herbal remedy I purchased from (Best Health Herbal Centre) for eight weeks, all my symptoms declined. No more lower back pain and left hip pain. The doctor said my spine looks good. Presently am having a good night’s sleep. For more info visit ww w besthealthherbalcentre com .